Another great day at The Reigate Rampage Run II at Littleton Manor Equestrian Centre. Great to see the event growing and gaining momentum. 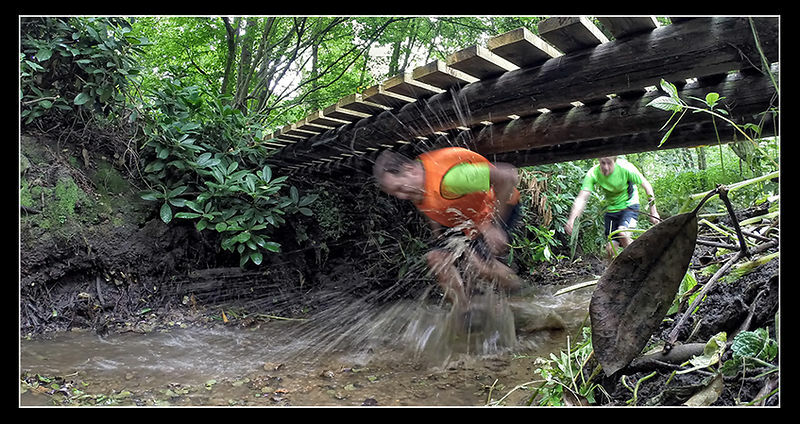 According to the organisers “The Reigate Rampage Run has been designed around the equestrian gallops and cross country course as well as making the most of the natural topography of undulating countryside, steeper hills, river and woodland”. The cross country section at the start of the course over the Willis Brothers built fences presents enough of a challenge but the undulating countryside, steeper hills, river and woodland which all come toward the end of the course provide great photo opportunities. Highlights were; the trainer sucking swamp, the runner who cooled of in the stream, the monk and penguin. Congratulations to everyone that took part. Photos of the day are now in the Galleries Section of the website and today is designated “Bart’s Camera Cleaning Day” in preparation for The Open at Hoylake.